Want to verify that you’re receiving your internet plan’s advertised speeds? 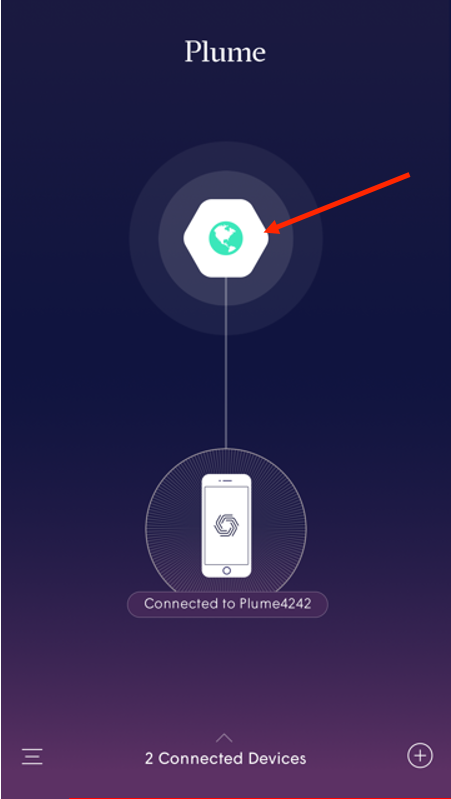 Plume Auto-runs an ISP Speed Test off of your Gateway pod every 3 hours as long as your network is idle, in order to provide you with an up to date number. 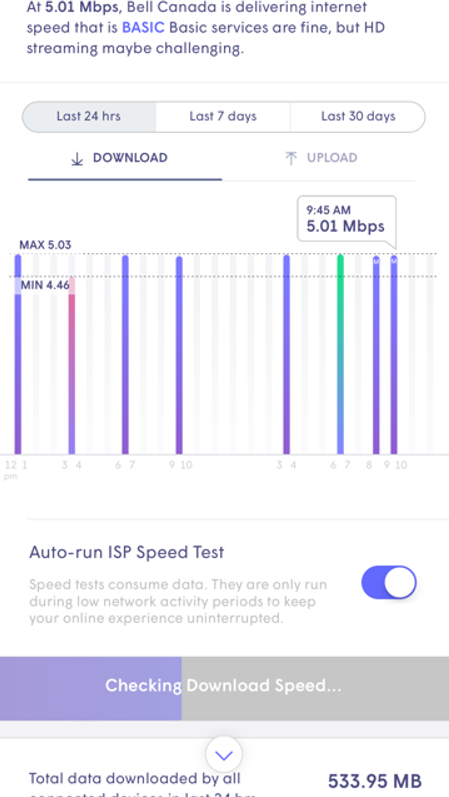 You can also choose to run the ISP Speed Test anytime via the Plume App on iOS and Android, even if you not connected to your network. Click on the Gateway pod image on the home page of the app. Selecting this icon will bring you to a history your ISP Speed Tests. Tap on Check Speed Now. This will trigger a speed test off of your gateway pod and provide you with the latest results. Running a speed test may affect the performance of other connected devices. The ISP Speed Test will not run if your network is offline or if the speed test servers are temporarily unresponsive. If this is the case, please check your connection and try running the test again at a later time. 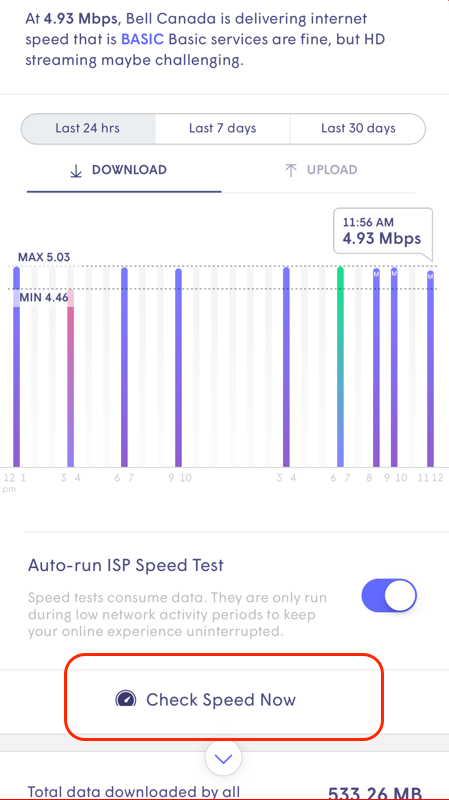 You can use the Device Speed Test feature to measure the potential speed over Wi-Fi when connected to a particular Pod. 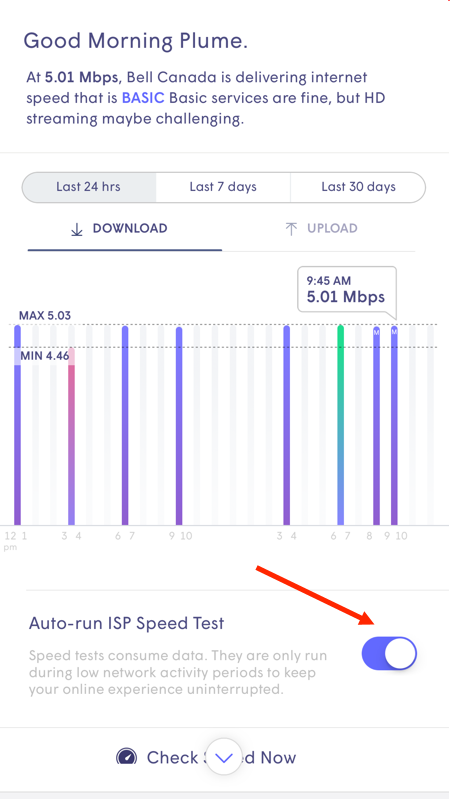 If you are using a PC or Mac, you can download the stand-alone OOKLA speed test App to run speed tests.